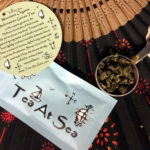 For Today’s Tuesday Tea, I have a great giveaway, brought to you by the wonderful folks at MarketSpice in Washington state. 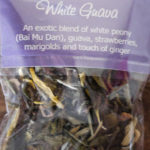 They offer nearly 200 teas, continually developing new blends which are made daily in small batches. MarketSpice Cinnamon Orange Tea is their “Signature” blend of black tea with spices and flavorings, though it also comes in different tea bases now. 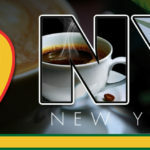 In addition to teas, MarketSpice has a large assortment of spices as well as their own candle line, honeys, cookies, hot chocolate blends, chocolates, drink mixes, sauces, and mints. 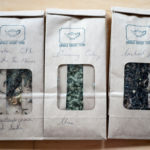 I’ve also received some great looking teas from them to taste and share with you. Unfortunately I’ve only had the chance to try one so far (Knockout Tea), but it was quite delicious! I’ll be sure to report back with my thoughts on all of them, including: Winter Spice, Sunset in Seattle, White Chocolate Mocha, Market Chai, Knockout, Jamaican Fruit, Pike Place Market Anniversary, Egg Nog, Emerald Surprise, and Jingle Bell. In order to enter to win this spice-tastic gift basket, please check out the widget below. 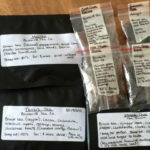 At the least, please visit MarketSpice and leave a comment here as to what you would pick up at their market if you were transported to Seattle. Whoa this place looks awesome and a trip to Seattle is in my future so this will definitely be a place to check out! I’m intrigued by the caramel apple, egg nog, pumpkin pie, and gingerbread loose teas! I am intrigued by Spicy Seattle Chai Steam Pressure Decaf. I have only tried the orange spice tea and it was very good. 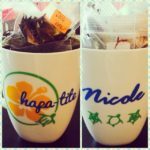 I would like to try the herbal teas as I drink decaffeinated teas for the most part. I want to try their Chai Tea bags. And not the Decaff, lol. I’d get the mango berry! All of those flavors look delicious! I have to say that I would love to try either the Apple and Cinnamon or the Seattle Surprise! I was just in Seattle! But unfortunately I didn’t have a chance to check this place out.. Their lemon up iced tea sounds really good and refreshing. The applewood smoked salt sounds like it would be fun to play with. Then again, I probably couldn’t resist picking up some tea as well. Ooo, I like the apple tea! I’d love to get some ground cardamom from their store! If I were transported to Seattle, I’d pick up some Lychee Rose black tea, then go to the Space Needle.